The McAllen ISD School Board has called for a Tax Ratification Election (TRE) for September 8. Safety and security were clearly the focus when the Board called for this “no total tax rate increase” Tax Ratification Election in June. “It is important to know that, whether or not the TRE is approved, the total tax rate will remain the same,” McAllen ISD Superintendent J.A. Gonzalez said. The TRE would essentially shift taxes collected for debt repayment into daily operations. This “penny swap” would then allow the district to claim an additional estimated $7.8 million annually in state revenue from the Texas Education Agency. • Fireman’s Pump House 201 N. 1st. St.
• Palmview Community Center 3401 Jordan Ave.
• Lark Community Center 2601 Lark Ave.
• Gonzalez Elementary School 201 E. Martin Ave.
• Lincoln Middle School 1601 N. 27th St.
• McAllen High School 2021 La Vista Ave.
• Fields Elementary School 500 Dallas Ave.
McAllen ISD’s total tax rate is the lowest school tax in Hidalgo County at $1.155 per $100 of property valuation. The School Board has not raised this total tax rate in nine years and in fact, reduced it in 2015. Prior to calling for a TRE, the School Board wanted the community’s feedback. 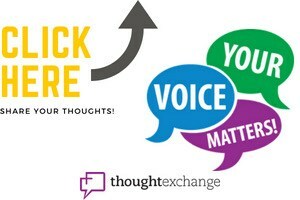 In May, the district collected input on the matter from the public through various face-to-face meetings with the community, parents and district staff, plus an online forum called Thought Exchange. More than 1,800 students, parents, employees and other members of the community participated. The district is guided by this decision in its Strategic Plan and a Facilities Education Master Plan.